Oolongs exemplify the concept that some teas can be re-steeped multiple times and yield an incredible volume of drinkable tea. This practice works best when the leaf is steeped in a small vessel, but it also works reasonable well in a large teapot. Please refer to our steeping instructions for details. This traditional-style, roasted Tieguanyin is from the heart of China’s semiball-rolled style oolong production region: Anxi, in Min-Nan (southern) Fujian Province. Bold and complex, this Tieguanyin has been given more oxidation and a traditional-style, medium-brown roasting. 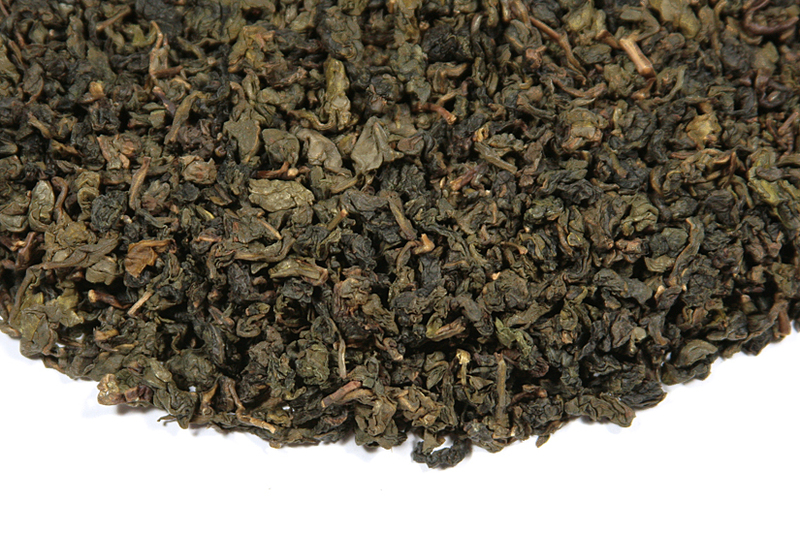 Sometimes we have an even darker traditional-style Tieguanyin, but not at this time. 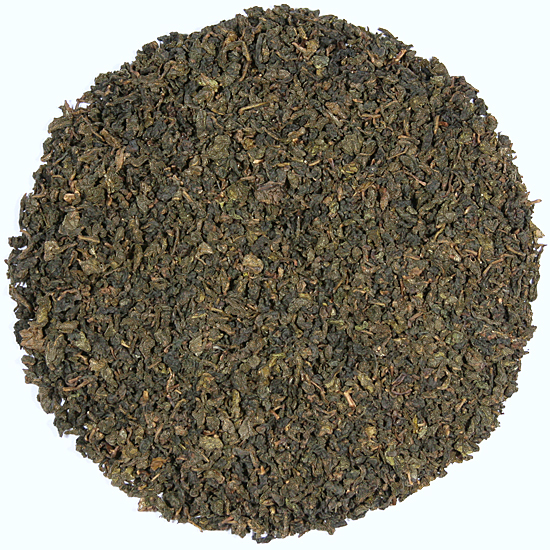 This is the style of oolong preferred by more mature Chinese tea drinkers, and the style of Tieguanyin that positioned it as one of China’s Famous Teas. 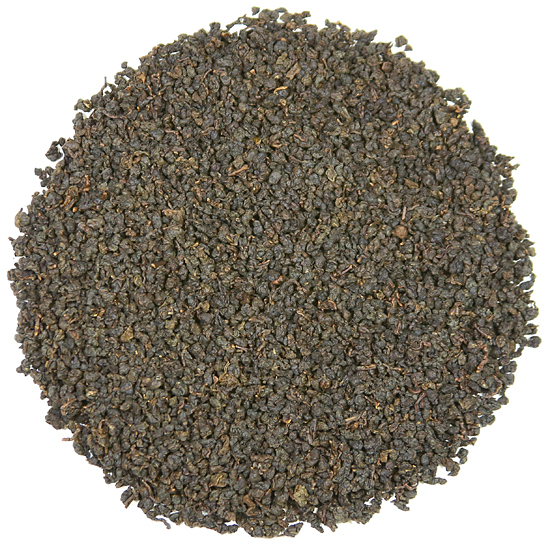 For contemporary export, the newer, modern-style of greenish semiball-rolled Tieguanyin (sometimes referred to as ‘European-style’, ‘Russian-style’, or ‘German-style’ TGY) has become very popular with tea enthusiasts in the West. We offer that style in our Clear & Fragrant-Style Tieguanyin. When we offer a Spring Pluck for Tea Trekker’s Traditional style Tieguanyin, it shows the classic deep flavor and rich, mellow mouth feel that we have learned to expect from a classic Tieguanyin manufacture. The youthful leaf; however, contains a different level of amino acids than an autumn-plucked leaf would, so it shows a bit lighter and brighter flavor, with plenty of depth and that signature mineral-crisp taste. 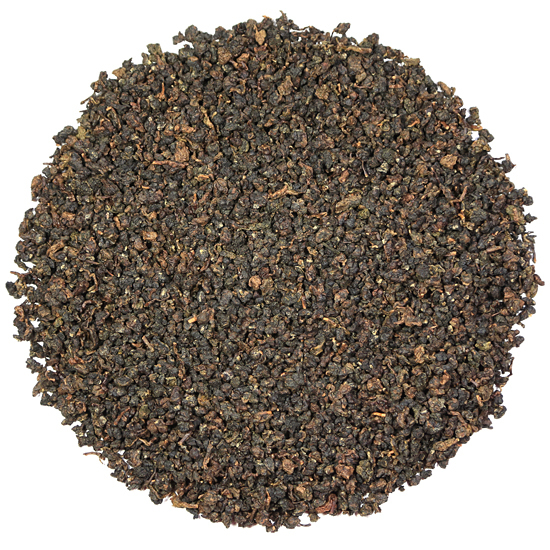 This oolong should be re-steeped many times using short steep times. The infusions will vary, initially being light and clear, and then becoming very rich and mouth-filling. The crimped leaf will swell and open until the cluster of leaves is fully exposed, showing off the lovely crimson-tinged edges of the leaf. This showcases the expertise of the tea master during manufacture.